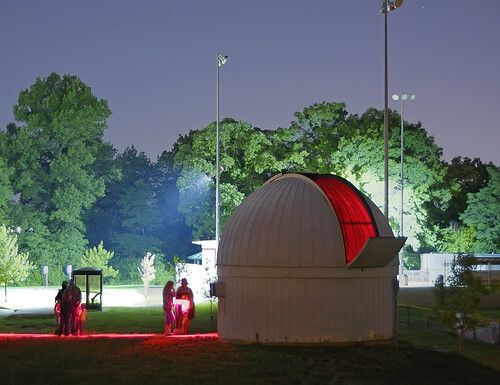 The astronomical observatory at the University of Missouri - Saint Louis has a monthly open house. These photos were taken last Saturday. This is especially a fun event for kids. 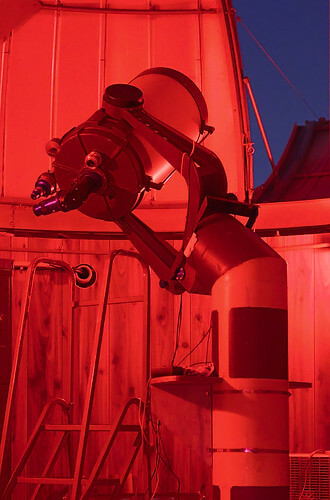 Celestron C-14 Schmidt Cassegrain telescope. The red lighting preserves night vision. My other photos taken at UMSL are here and here.